This building and the one next to it were built in the early nineteenth century as a Bianconi coach house. 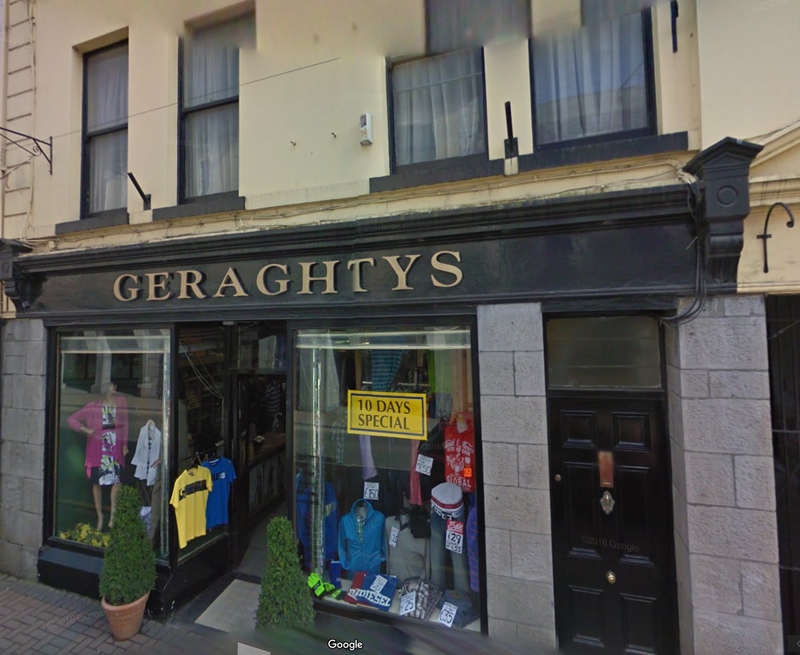 This was the home of Tom Ffrench member of the Connacht Rangers who was killed at Gallipoli in 1915. 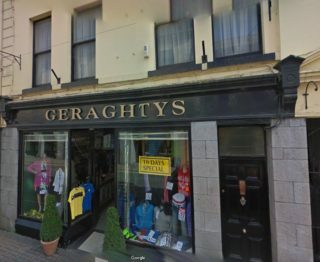 Geraghty’s which was established in 1946 sold a cap to John Wayne who used it in the film “The Quiet Man”.